I spent some time tidying the shed early this morning. It’s an embarrassing mess. Well, it was. Not so much now. Took some pics whilst in the garden. 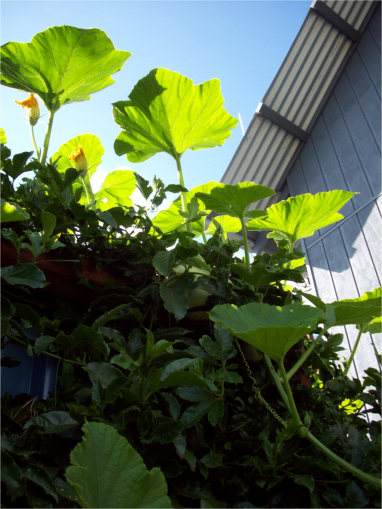 This is the self-sown pumpkin vine that I trained over and arch and up to the shed roof. It’s coming along just nicely and with the drop in the easterlies and the mulching of the back bed, has had a second wind and is growing further. New potted pets grown from shop bought orphans. 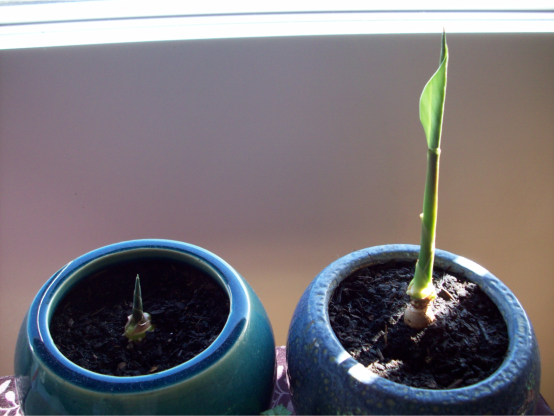 On the left is a ginger which is growing well, but quite slowly. The right is turmeric which has grown from an organic orphan from a local shop. It has done increasingly well over the last few days and is seen here just starting to begin to open up it’s leaf. 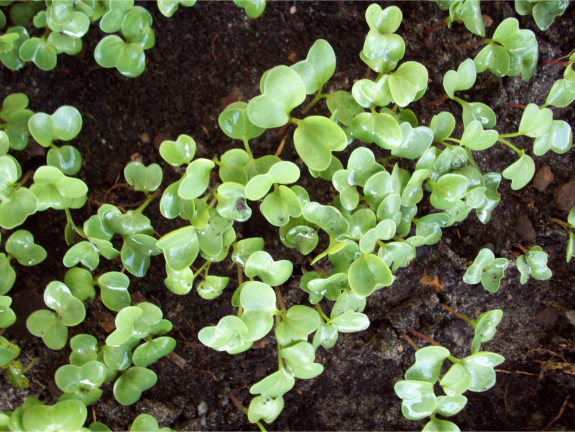 This is a bed of radish that came up so very fast over the last week. Also, I have planted carrots in the same bed for a later crop. These are growing on the deck. 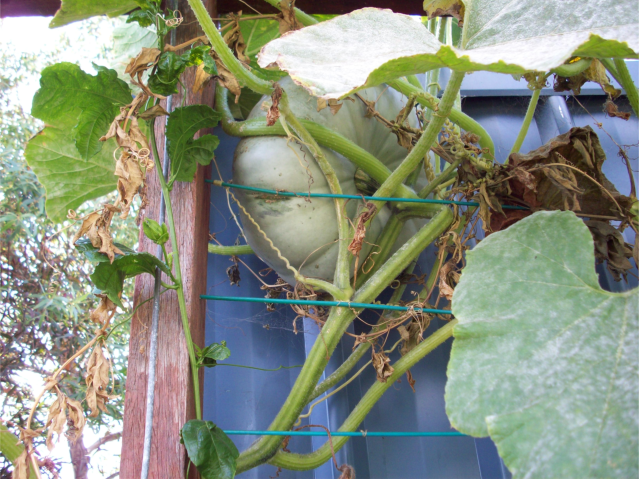 Speaking of a second wind, here is the same pumpkin vine with already another fruit starting to form.